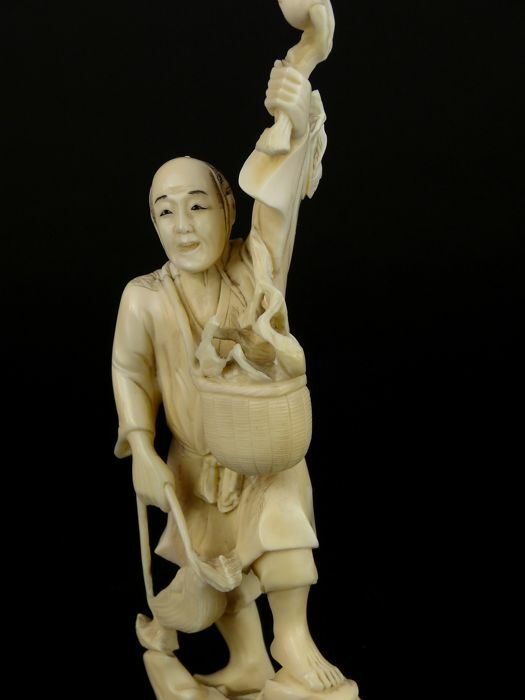 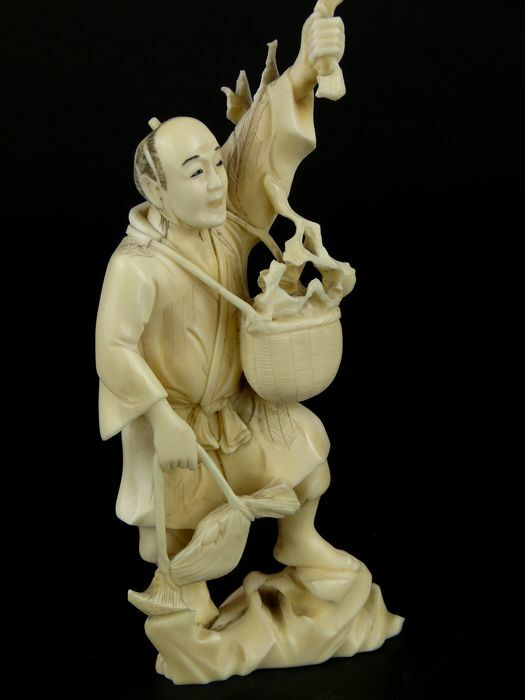 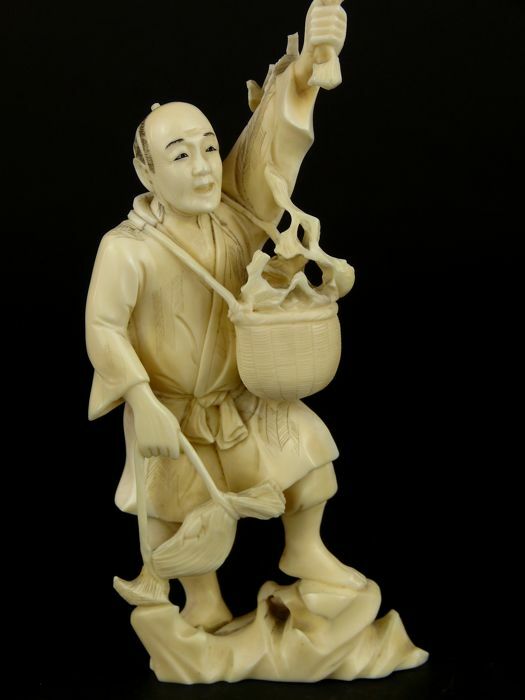 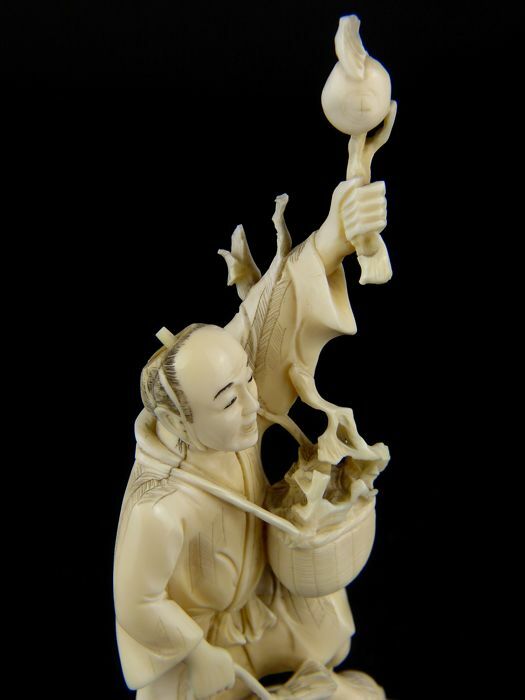 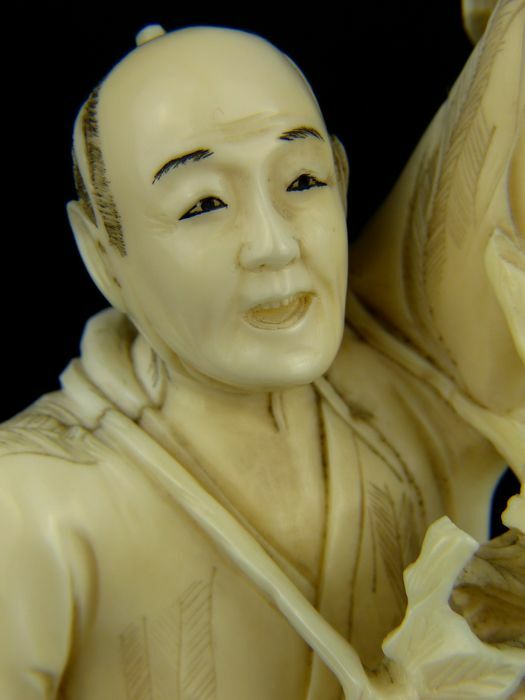 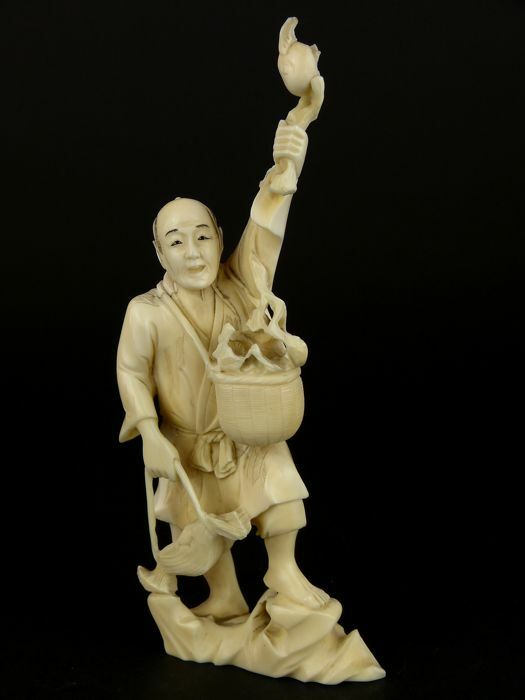 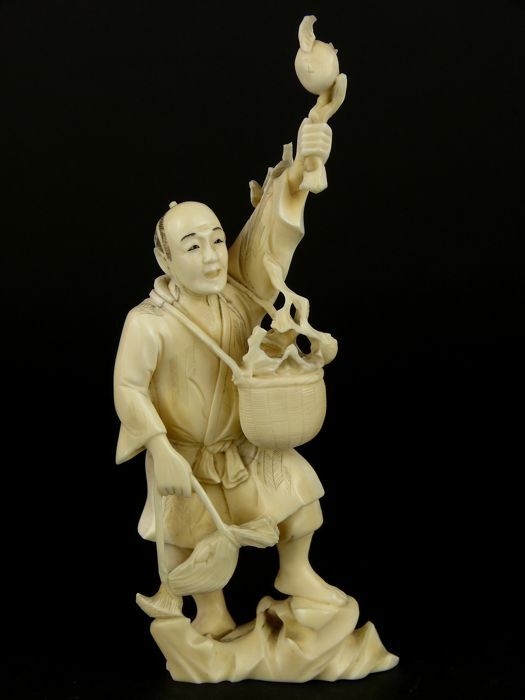 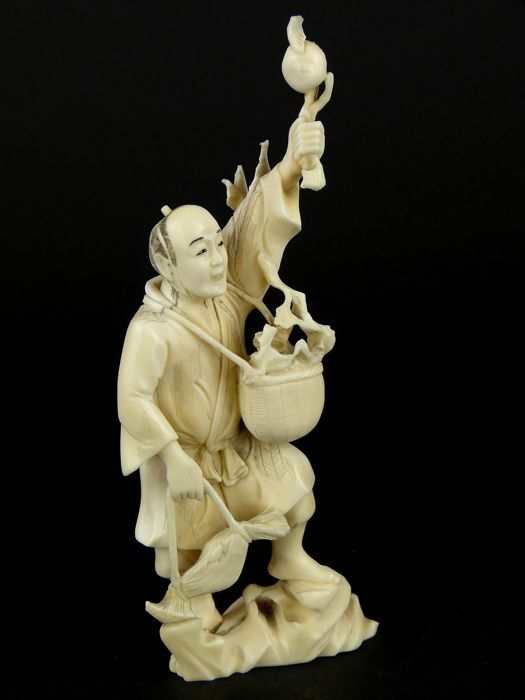 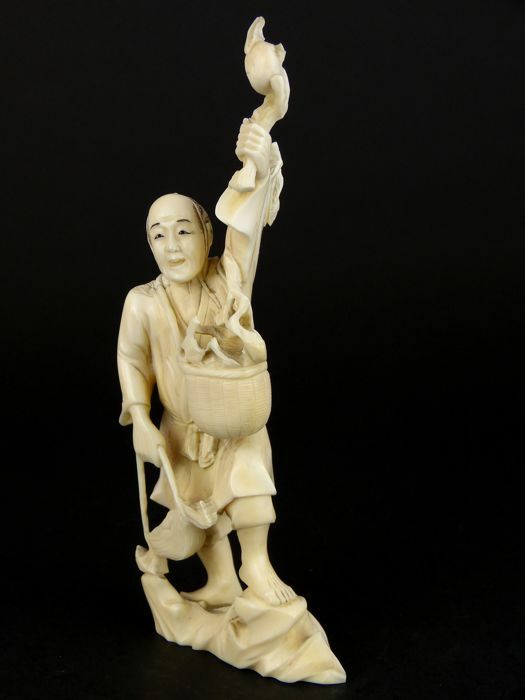 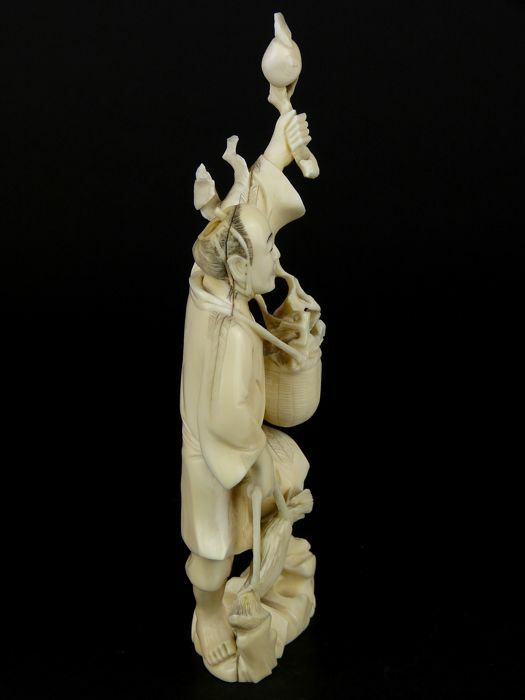 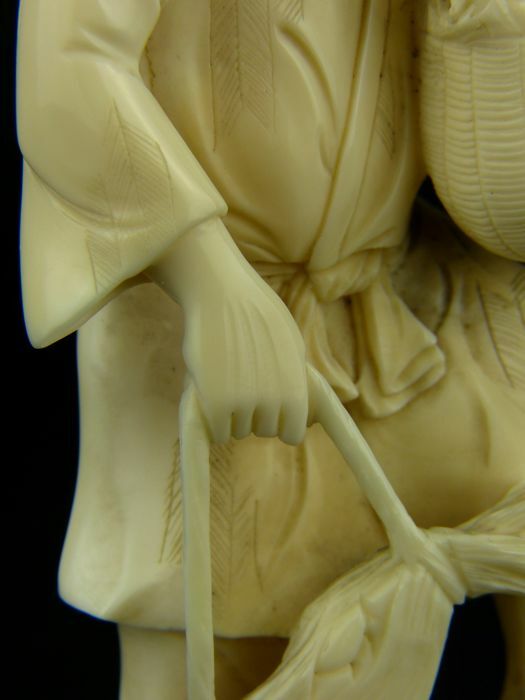 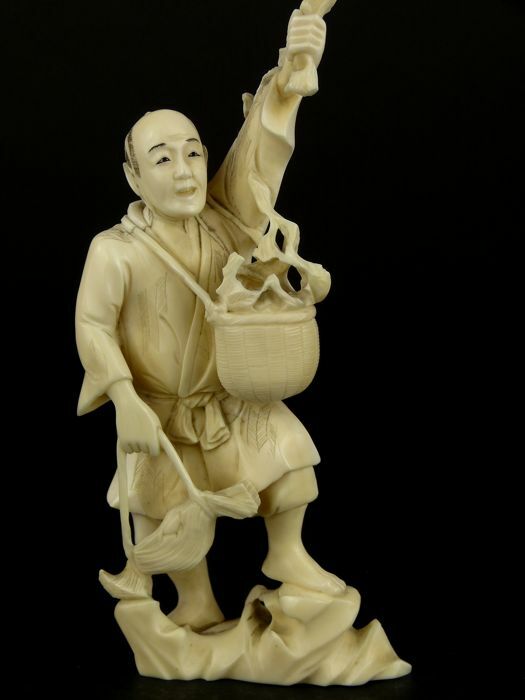 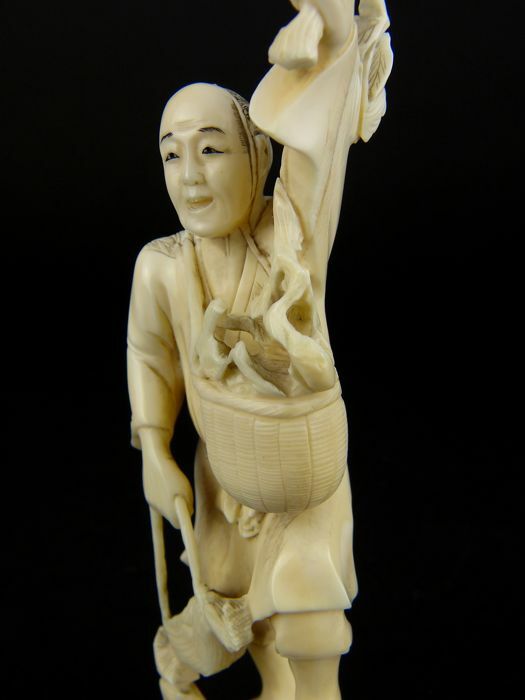 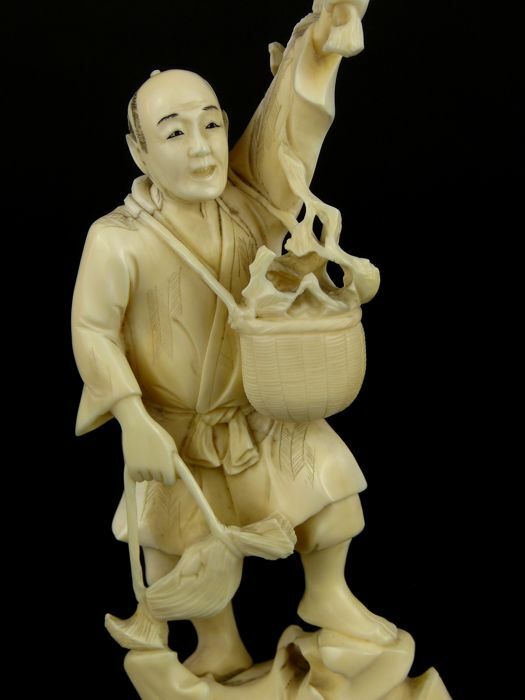 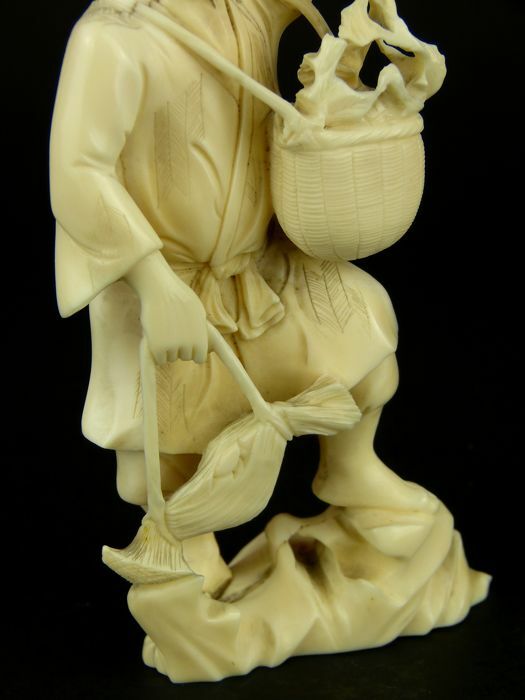 Description - A Japanese ivory okimono of a farmer standing with one foot resting on rock, holding a straw bundle with fruits in one hand and a spray of foliage with peach raised in his other hand, a round basket with a foliage strapped around his neck, unsigned, Meiji Period, circa 1900. 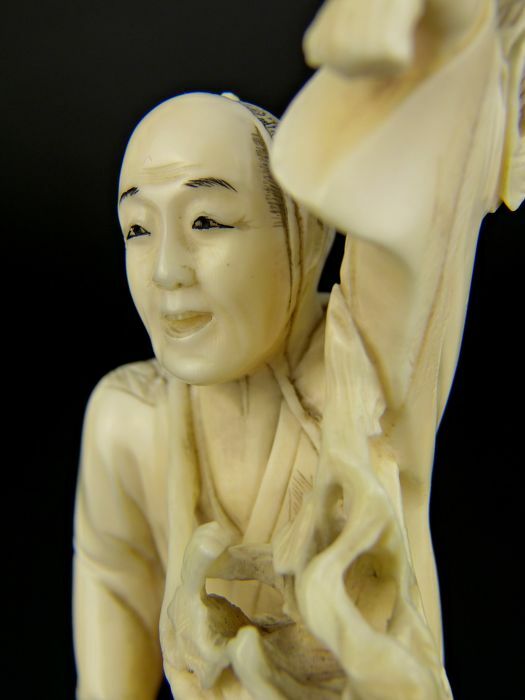 Condition - good condition, there is a hat missing and part of foliage in his left hand, vertical cracks commensurate with age. 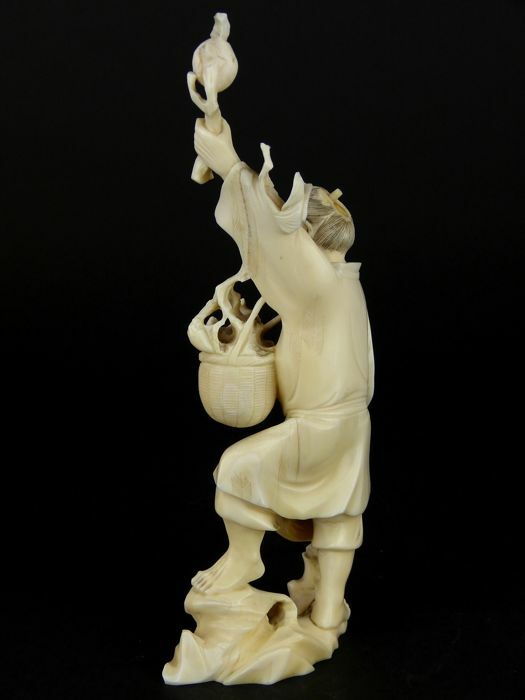 Dimensions - height 19.6cm, base 7.2x3.7cm, weight 216grams. 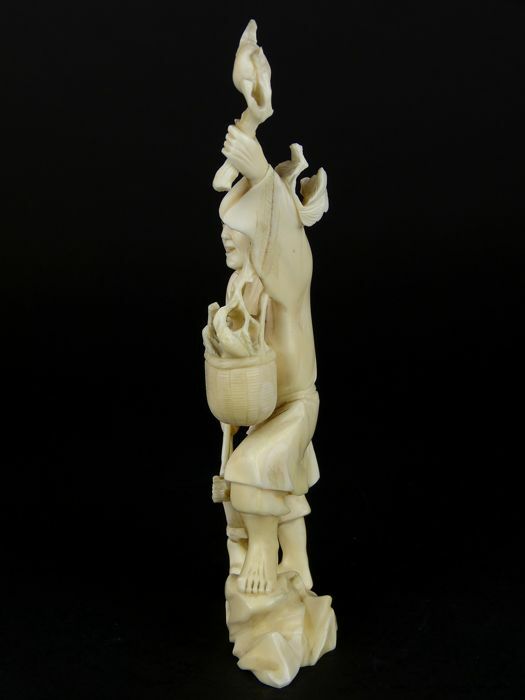 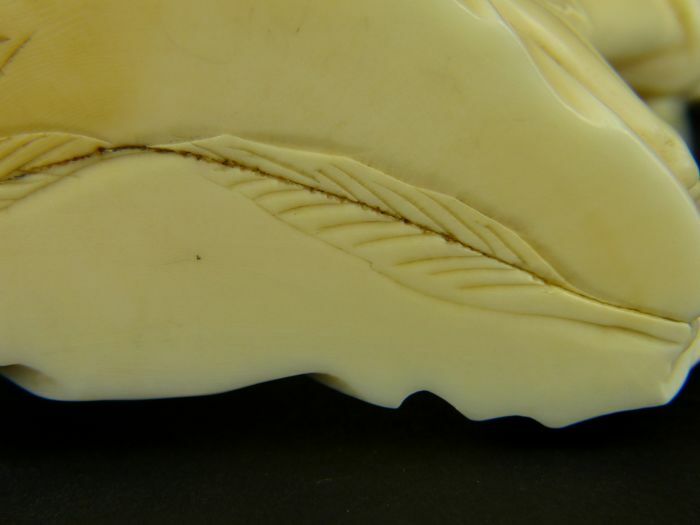 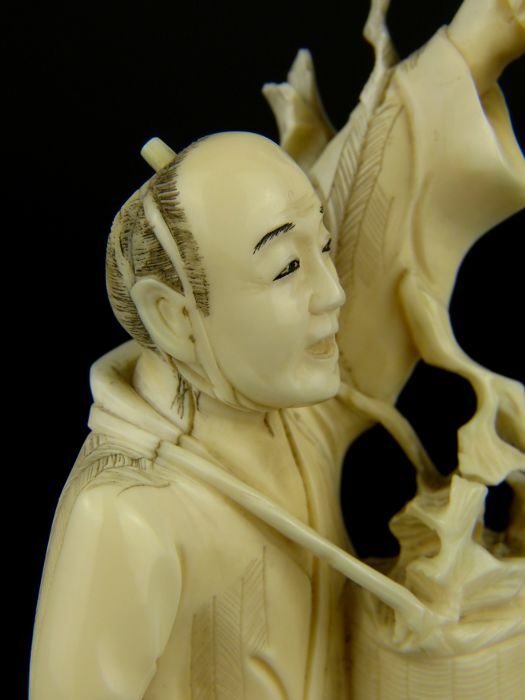 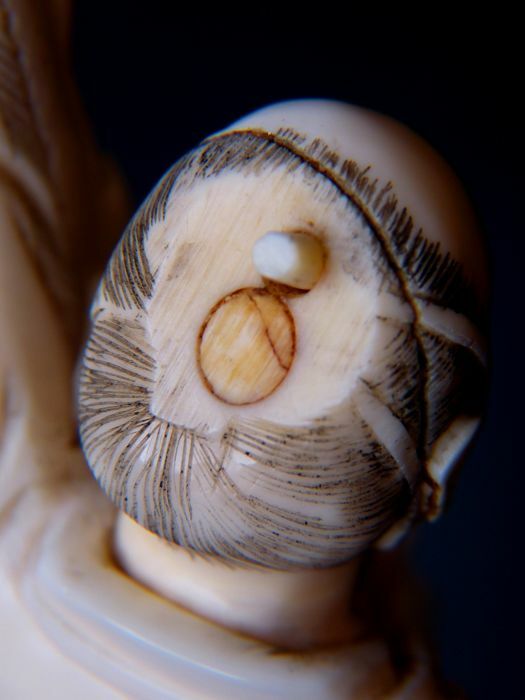 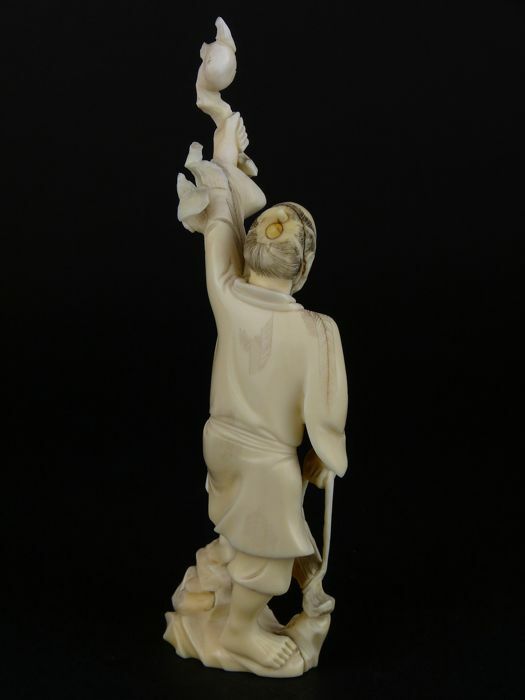 The seller guarantees that this object is made of antique ivory, worked before 3rd March 1947 and may be (re)sold in accordance as per CITES Resolution 10.10 and Regulation (EC) No 338/97. 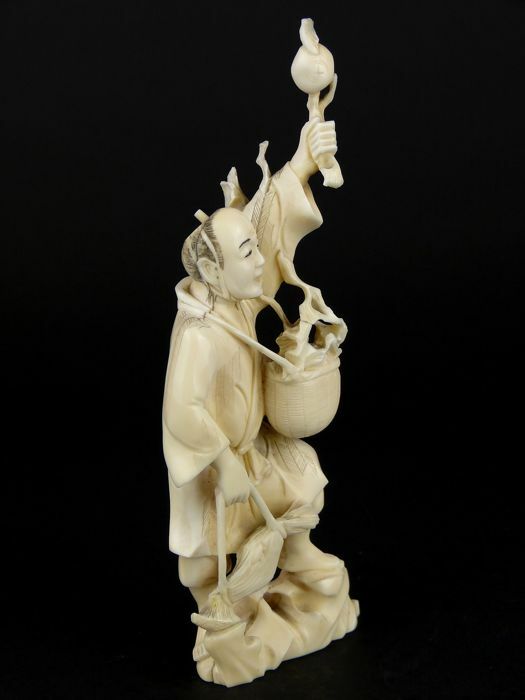 The seller will provide an Appraisal Report describing details to the buyer. 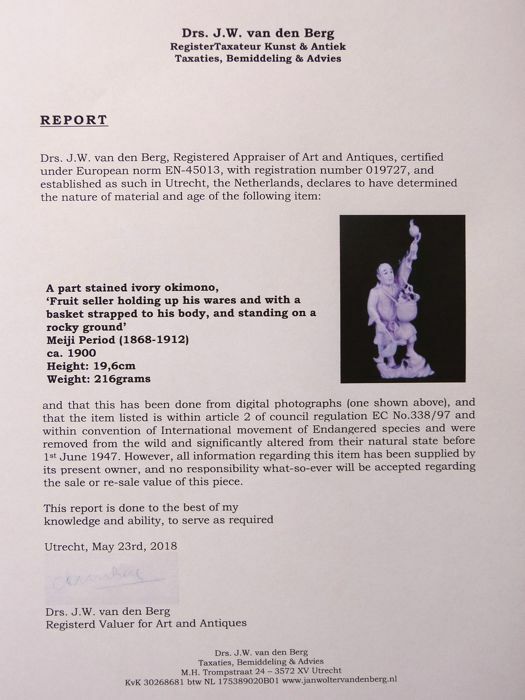 An Appraisal Report will be included in the package. 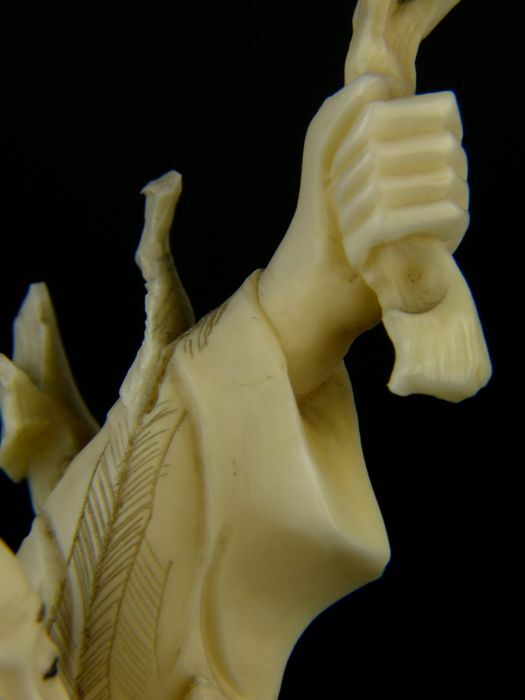 Packaging and Delivery - Item will be securely packed, insured and sent by tracked and proof of signature delivery. 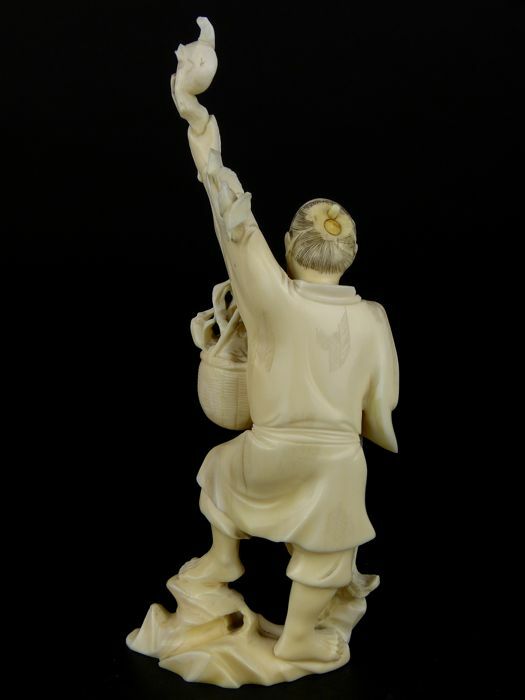 as described in your respective auction. 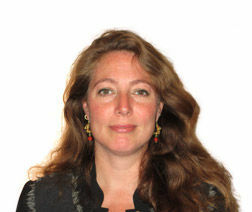 Well done !!! 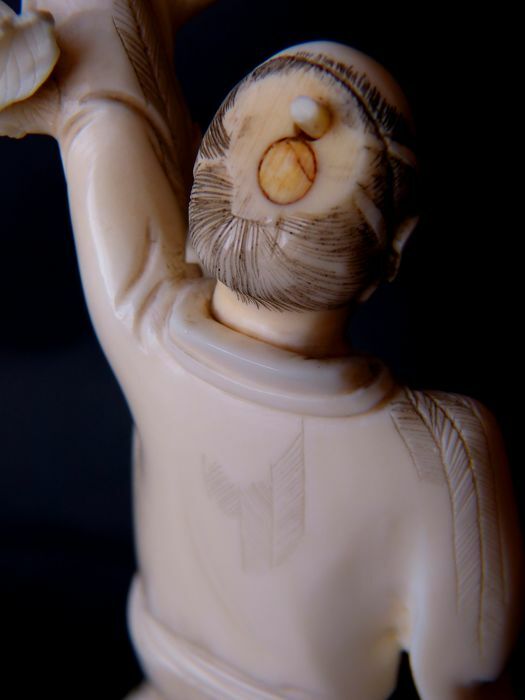 Oggetto esattamente come da descrizione, packaging ottimo, venditore gentile, disponibile e cordiale. 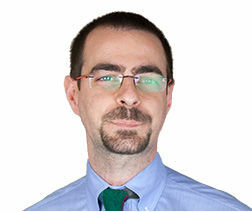 Spedizione lenta (13 giorni per l'arrivo). 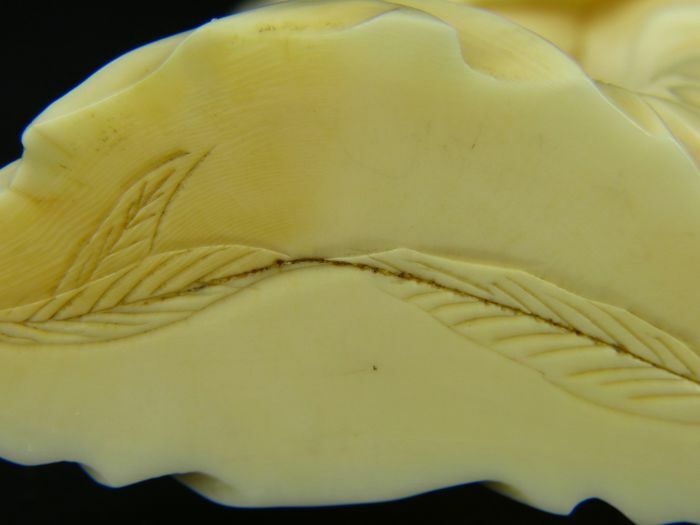 Perfect from A to Z and reliable. 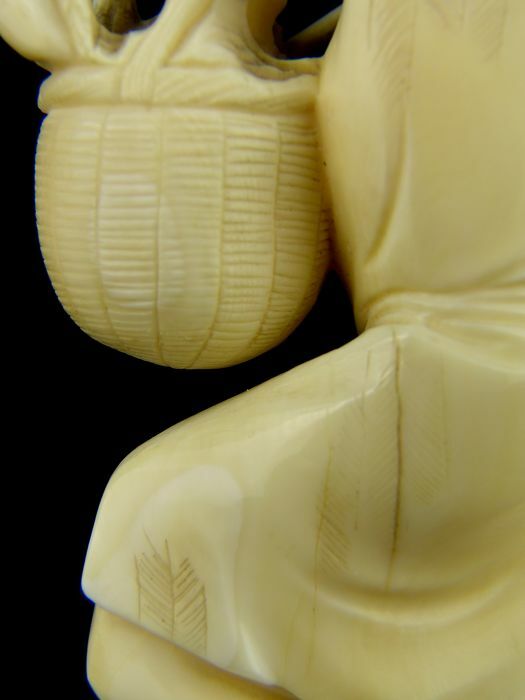 Very good packaging too. 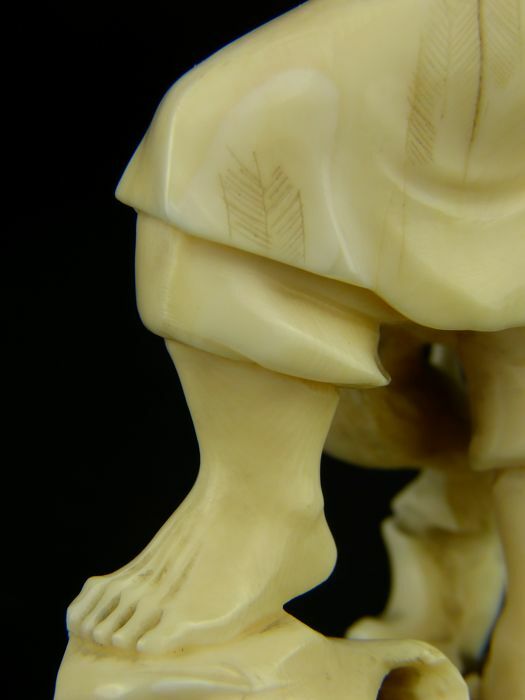 I advise. 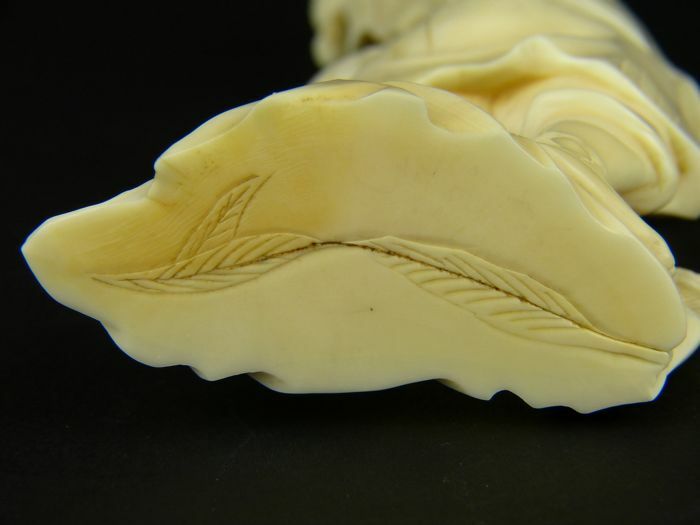 You can pick up this lot from the seller: Eastbourne (East Sussex), United Kingdom.